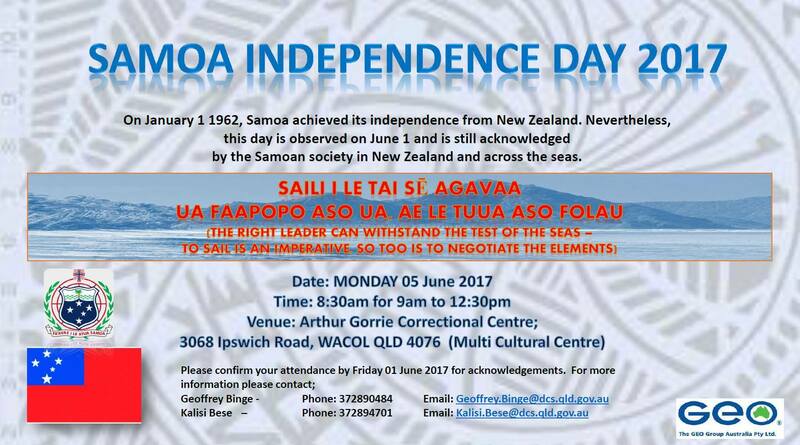 Arthur Gorrie Correctional Centre invites you to join their Samoan Independence Day 2017 Celebrations. NOTE: For first time visitors, you will need to complete and be assessed for Security Clearance, prior to entering the Centre. Previous Post Short courses available!